Life Insurance - Courier Service Insurance is a specialty insurance product that will cover an individual or a small business delivering materials or products for a fee. If you are self employed, delivering newspapers or mail on a rural route, for example, it's likely that you'll need Courier Insurance. While you probably already have an auto insurance policy on the car you drive for deliveries, most auto insurance policies exclude coverage for delivery services. A policy specifically designed to cover your courier service business will ensure that you're not personally liable if the materials you're delivering are damaged or stolen. Even couriers who are under contract to one company should check with their employer about the amount and type of coverage they need. Your employer might provide Cargo coverage for the packages you're delivering, but could still require you to carry higher limits of liability on your car or truck. A larger company with multiple drivers may purchase a policy that covers its drivers in any truck in its fleet. In this case, its drivers would not need a personal policy. The more valuable your cargo, the more insurance you need. It's that simple. If you're delivering medical supplies or medicines, the risk of loss is greater than if you're delivering documents to an attorney's office. Your insurance company will customize a policy for the type of delivery, as well as the miles driven and whether it's local or long-distance travel. When you drive a car or truck that's owned or leased by your employer, the business itself will have a policy to cover the delivery vehicles. But, be certain that you're listed on the policy. You should give the company a copy of your driver's license and be aware that most companies will check your Motor Vehicle Report (with your permission, of course). Companies may decline to hire or insure you if you've had a recent accident or traffic tickets, because the cost of insurance will be greater. 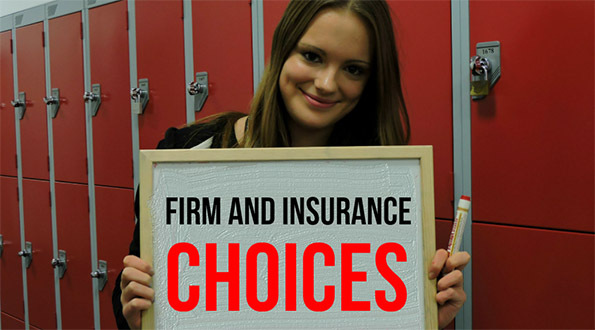 0 Response to "Choosing Your Firm And Insurance"